The 316L surgical steel bar is 10mm (3/8") long. 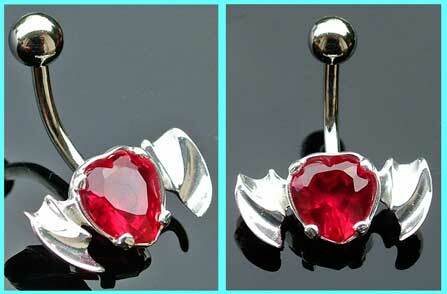 The unusual sterling silver winged heart design measures 20mm x 10mm, with a 8mm red stone in the centre. Powered by ShopFactory to sell P10790 online. All-in one eCommerce and online shopping cart software.